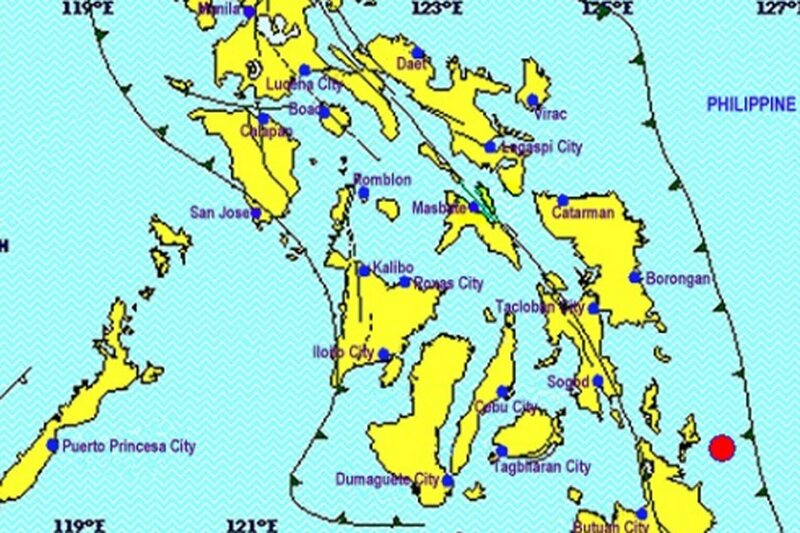 MANILA — A magnitude 5.9 earthquake hit Surigao del Norte Friday night, Phivolcs said. The tectonic quake struck at 7:55 p.m. and has a depth of 19 kilometers. Its epicenter was located 28 kilometers southeast of General Luna town. Intensity 5, which may feel like a strong shaking and rocking and may cause hanging objects to swing violently, was felt in Surigao City. Aftershocks are expected, Phivolcs said.